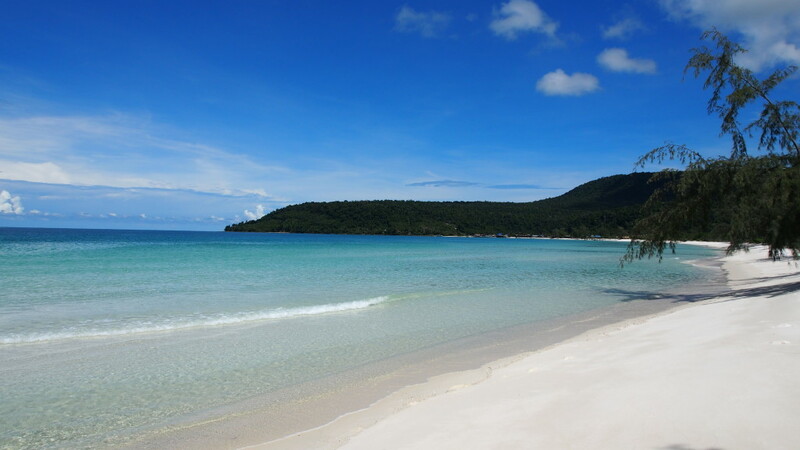 Koh Rong Island is one of the best island in Cambodia for your next holidays!!! 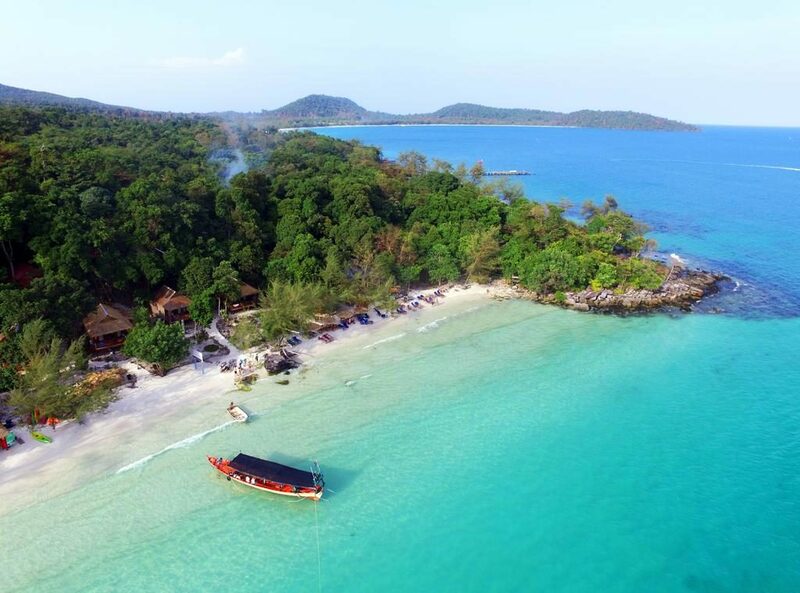 Koh Rong Island Travel Guide Updated 2019, information, how to get to Koh Rong, activities in Koh Rong Island and Koh Rong Samloem. Koh Rong Island Cambodia: The Best Island you must Discover! 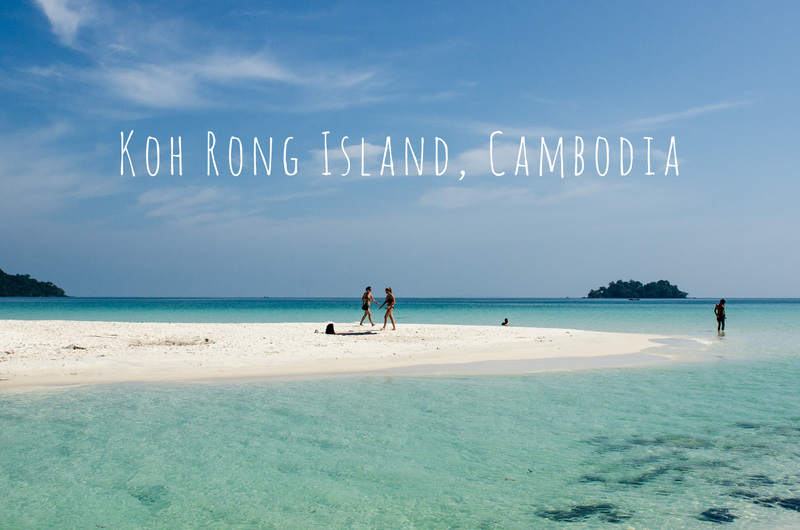 Koh Rong is the largest Cambodian Island, while Koh Rong Samloen is the second one. 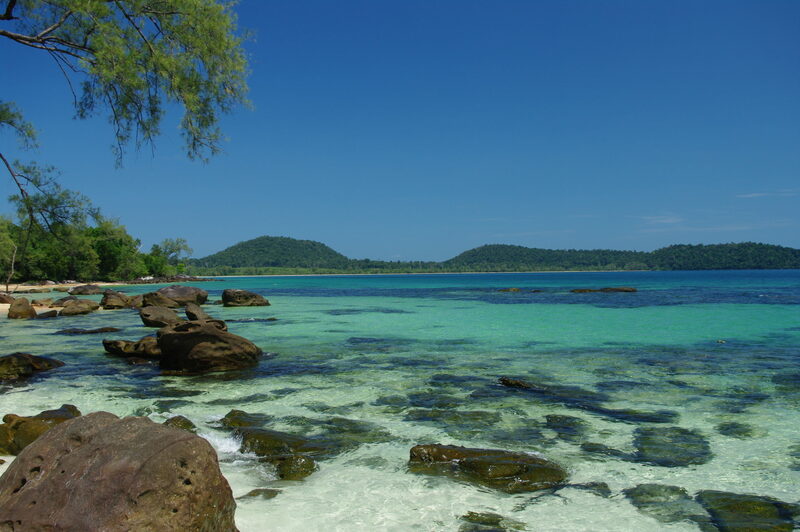 Koh Rong is one of the 23 islands that are part of Ream National Park, Cambodia. This has quickly become one of the most sought after places on earth to visit and spend vacation. Not only are the accommodations absolutely first rate, but they have beautiful beaches, spectacular views, and a climate that challenges any on earth. It is truly a tropical paradise that is a cut above the rest. 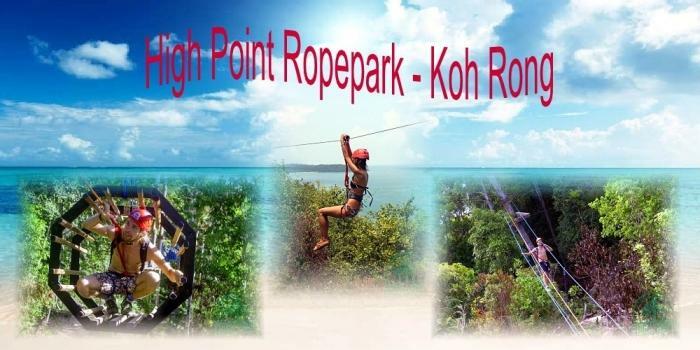 Koh Rong also has a great many activities that you will love. You can enjoy a day on the beach, go swimming, fishing, scuba diving, rent a boat for the day, or simply take a walk through this beautiful island. There are great attractions that are great for the whole family, and you will find that the food is second to none. It does not matter what your tastes are; you will love what you are dining on each day. Plus, you will find no tastier and fresh of fish on the earth. It will truly make you never want to leave. This is truly an amazing place to go to, and the best part of it is that you can enjoy being in a tropical paradise for a fraction of what you would spend to go to other tropical resorts. With its costs alone it is one of the best places on earth to visit, but with all the extras they have for you, you will simply find that you have found paradise. 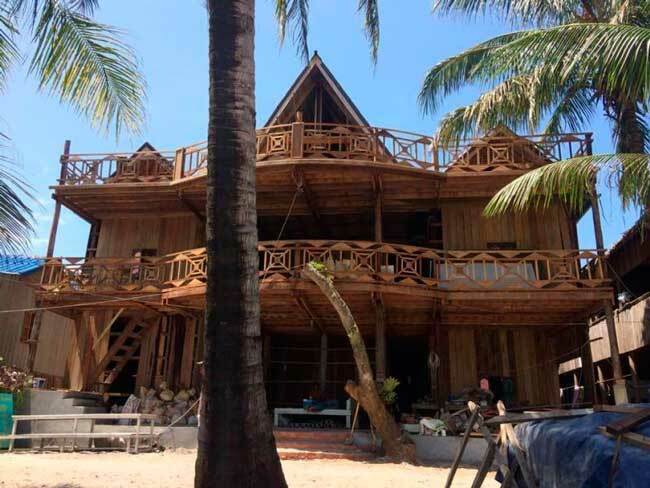 On Koh Rong was filmed the American reality game SURVIVOR on 2015 and French reality game Koh Lanta. NEWS – SPEED FERRY AVAILABLE TO KOH RONG ISLAND!!! 11:00 am, back 12:00 pm. 3:00 pm, back 4:00 pm. 3:00 pm, back 3:30 pm. To get to this tropical paradise you would fly into the capital city of Cambodia, Phnom Pehn. From there you are taken by shuttle to Sihanoukville Province, the province where Koh Rong is situated. During the shuttle ride you will get to see the beautiful city and be shown some of the incredible sites of the nation. Arrive in Sihanoukville pier where you will take the ferry to the island. We mention the round trip ticket because some will choose to stay on the mainland, but still desire to see this amazing island. The ferry ride is about a 45-minute ride, and will leave the shore to the island three time a day. To dispel your worries, if your flight should arrive after the last ferry of the day you will either be given first-rate accommodations on the mainland for the night or taken by a special ferry to the island. Special ferries availability will depend upon how many people will need to be transported and on the conditions. The tour groups are using higher speed ferries. They are fairly comfortable, but there is not a large number of amenities on the boat itself. You should be aware that the sun can be quite hot here so, even on the ferry ride, you should wear a hat, sunglasses, and sunscreen if you are susceptible to the sun’s rays. You may also want to bring snacks and water for the one-hour ride. While they are looking to upgrade the accommodations, not all ferry rides have snacks and beverages available. No electricity on the island, but there are generators, so you can have current about from 6 p.m. to 11 p.m.
No ATM! Please withdraw your money on the mainland! You can find sand flies that can bite you and leave marks that can irritate for some days. You can use a strong repellent! Koh Rong Map – Where is Koh Rong Island?! Koh Rong Island is one of the larger islands in Ream National Park, covering about 30 square miles. Its interior has a dense tropical rain forest that is home to many endangered and threatened species of plants and animals. In fact, Ream National Park in general has the largest number of threatened and endangered species of animal on the planet. Much of the outer portion of the island is surrounded by beach area. The highest point on Koh Rong Island is roughly 300 yards above sea level. This is the peak of two major hills on the island that are divided by a river. Besides the river and beach areas, there are small estuaries and creeks located on the island. There is even a waterfall that runs through the hills. On the outer edges of the island there are 23 beaches. The colors are absolutely beautiful and much of it seems completely unscathed. You will also find incredible capes that display unbelievable impressive sandstone formations that are truly breath-taking. Most of the inner portion of the island is covered by a dense forest area. This has been affected somewhat by illegal logging that was occurring on the island, but the government has since cracked down on this. However, the forest area is not as healthy as it once was. There are roughly 1,100 people that live on the island. Most are in a small fishing village that has been there for centuries. Koh Touch Village is the largest settlement area, but there are three others: DoeumD’keuw, PrekSvay, and Sok San. Most of the population of these villages had been involved in fishing, but the growing tourism on the island has led many to choose working for the tourist industry as their new profession. Interestingly enough, there is no record of any settlements on the island prior to 2000. While people lived there, the population was not recognized as “living” on the island prior to that time. Koh Rong has been home to the Sihanoukville Autonomous Port authority and to the Cambodian Navy, and was governed completely by the Navy until 2000. Now the island is governed by the Department of Fisheries, which is not only responsible for the fishing industry of Cambodia, but also with protecting the parks and national preserves. Working with the local government bodies, this department has made the protection of the natural treasures of the land a top priority, and is one of the reasons why there was such a heavy crackdown on illegal logging. 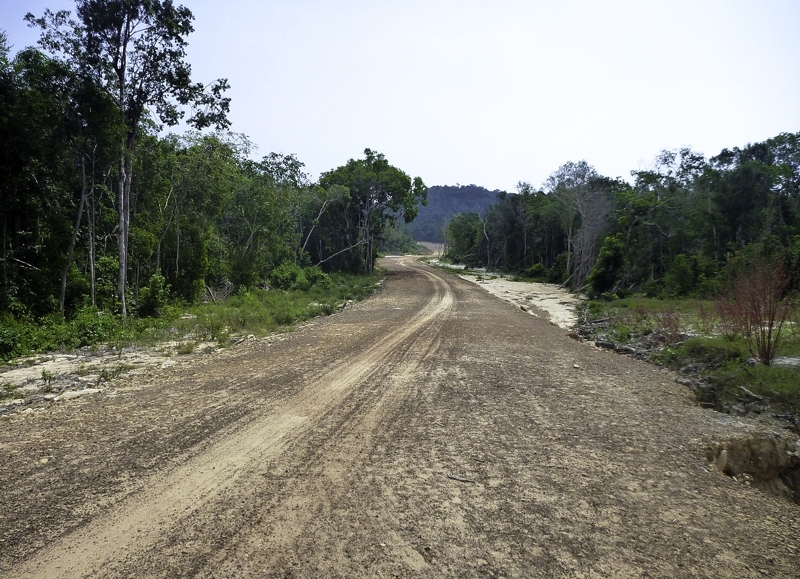 One of the unique features of Koh Rong island is that there are no paved roads. In fact, most of the travel that occurs between the resort areas and the villages is done by boat. This is advantageous due to the easy access in the beach areas. There are small boat companies that can take you around to the various other parts of the island, or you can rent a boat as well. Costs depend upon which group you rent your boat from. While not having paved roads for cars, there are several bike-walking paths that allow people to get around on the island. Some of these are used by vehicles at times, so you have to be watchful, but they are ideal if you want to explore the island on your own. There are places at the resort where you can rent bicycles to tour the island on your own or with your family. The daily costs are quite reasonable. If you are not averse to walking, then you will find these paths ideal. They not only lead to all of the various beach areas and to the different villages, but also go through the rainforest area, allowing for an amazing and majestic walk. You will truly love the scenery no matter where you are walking. Koh Rong Island is a truly beautiful place to visit, but it does come with its dangers that you should be made aware of. One of the biggest is the indigenous water buffalo of the island. While being around people for some time now should have adjusted their demeanor, it has not. These are animals that can be quite dangerous. Most are enclosed, but there have been instances where they have broken free and even killed a tourist. If you come across one should not attempt to approach it. Also being an half desert island there are sand flies that can bite you, not dangerous but can make you irritation. Sand flies are invisible so you will not see, just use a strong repellent! There has also been a growing amount of theft on the island, and guests are encouraged to take their valuable with them when they leave their rooms. If you have a computer or other valuable items you wish not take with you while you are the various resorts have safes and other secure boxes to secure your items. 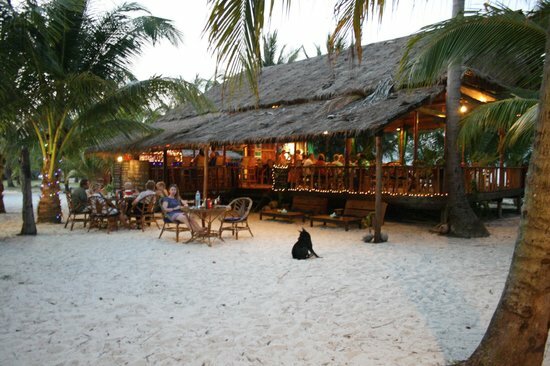 What makes Koh Rong Island so amazing is that there are lots of activities and events to do no matter how old you are. Whether you are a single guy or gal coming to this island to meet people, or a family looking to have a fun adventure together, you will love the amazing activities this tropical paradise offers. 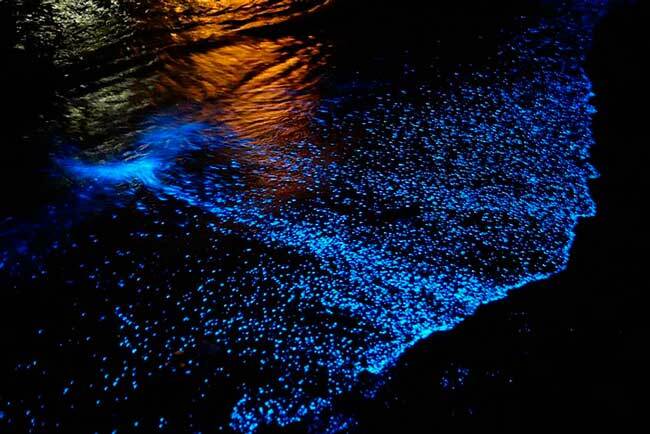 In Koh Rong also you can see this amazing natural phenomenon and see the sparkly phosphorescent plankton! How to see plankton in Koh Rong ?! Just go into the water when there are no lights in the night, and go up to about 1 meter deep, than start to shake the water!!! Let’s start with the obvious. 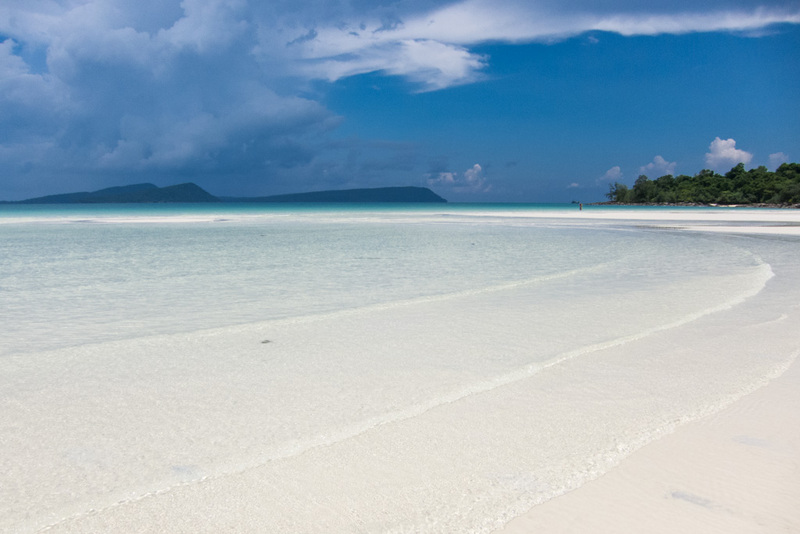 There are 23 different beaches on Koh Rong Island. Because of the small number of tourists that are allowed on the island as well as the small number of indigenous people you will find that it is no problem to find a nice piece of beach all to yourself. There are areas where more of the tourists can gather, which include places to eat, but you can also find a lot of areas where you may be one of just a few people on the Koh Rong beach. While patrolled for your protection, you can enjoy the solitude you may be seeking. The waters that caress the beach areas are some of the most beautiful you will find. The phosphorescent waters are truly spectacular, and the sparkle as the sun shines of it is truly something that will leave you in awe. You will find that the sun shines off of the water like little stars, making for one of the most beautiful sites. This is caused by the phosphorescent plankton that are even more visible at night when the moon shines off of them. You will find this a captivating sight for sure. You can enjoy swimming in the warm waters that surround the island. There is a large bay area on the island where you can enjoy much more peaceful waters to swim, or you can enjoy the waters at the other parts of the island. There is nowhere that you will find where the waters are treacherous. It is just a matter of your personal choice as to how you would like the waters to be. 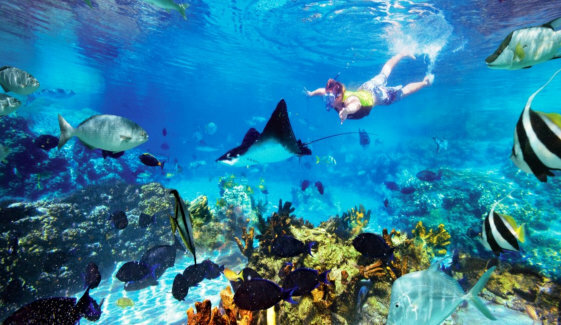 If you want to get into the water but enjoy a much more adventurous day, then the choice is to go snorkeling or scuba diving. There is equipment that you can rent so you can enjoy the island from below the water’s surface. 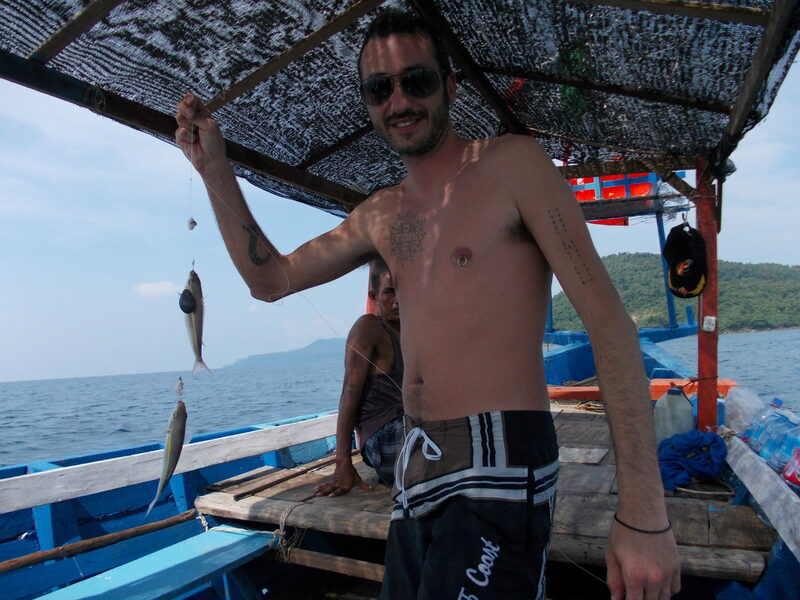 The water around Koh Rong is amazing, and you will find some of the most beautiful and unusual sea life. This includes manatees, multi-colored fish, and even sea horses. You can rent equipment from the tourist facilities offices on the island. You can also join a tour that will take you out on a long tail boat to the deeper waters in the Gulf of Thailand. Tour trips cost between $10 and $20. The variance in price has nothing to do with the value of the trip and more to do with the tour guide. The higher prices mean that the tour guide will speak proficient English, and can direct you to the key sites by speaking about them. The lower rates mean that the guide will simply point to things but cannot directly tell you about them. If you do not know how to dive then you can go to the Koh Rong Dive Center and take some courses from dive masters that will show you the basics of scuba diving. The costs depend upon the level of mastery that you have. The lower end courses, where you are just learning the basics cost about $10 per class, but if you are looking to become a much more masterful diver then you will find classes to be more expensive. If you do not want to go deep sea diving, you can still snorkel around the island along the coast or in the bay. Snorkeling equipment can be rented or purchased, and you can also take classes to assist you in learning how to snorkel. 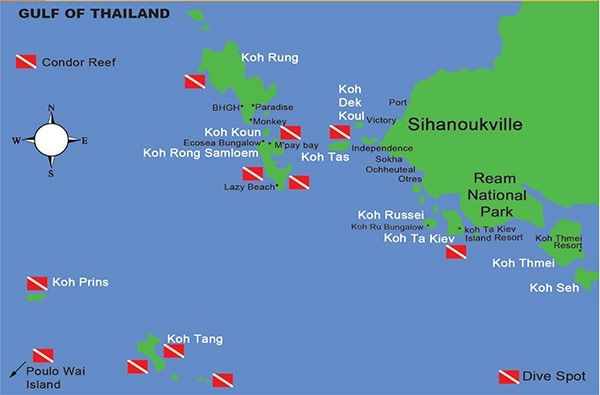 You can go to the Koh Rong Dive Center to learn more. If you are a guy or gal looking to spend the day catching some fish then you will find the waters no better than around Koh Rong Island. There are large numbers of fish that you can catch, and you are sure to have the opportunity to catch the big one that you can tell all your friends and family about. It is an amazing opportunity for sure. There are different opportunities for you to fish. You can simply rent the equipment, if you need, and enjoy a day fishing along the shore. This affords you a great opportunity. If you want to go for some of the bigger fish in the gulf then you can rent a boat for about $25 a day. This allows you to go out on your own or with friends or family to get in a little quality time together. You can also join a tour boat that will take you out to some of the better places around the gulf to fish. These cost about $15 per person. For those who choose to scuba dive, you can also use a harpoon gun to fish. There are restrictions on the areas where you can use such a device. If you are in an area where there are likely to be other scuba divers these guns are forbidden for safety reasons. Some people just want to spend the day out on the water without necessarily fishing, swimming, or snorkeling. Well, there is an adventure available for you as well. You can join a tour and go around to the various islands, getting to tour the beauty that is Ream National Park. You will be amazed at the sites you can view while you tour the waters of the Gulf of Thailand. You will be shown many of the historical landmarks, as well as get to see the amazing wildlife that lives in the park and its waters. The pictures you will take will astound all your friends and family when you return home. You can also simply rent a boat for the day and travel around the waters as well. This gives you the freedom to see the things you want and to spend more time in areas that interest you more. You can get maps that will show you sites you may enjoy. One of the best parts of this island paradise is that whether you are on the shore or out in a boat, there is a great opportunity for you to come across a pod of dolphins. In fact, during the migration period from March to May you are likely to see several dozen of these pods per day. It is truly astounding. The dolphins swim fairly close to the shore so you can get a good look from the island. On the water boats can take you within a few yards of the dolphins but not close enough to disturb them. It is a site for sure. It has been mentioned that there is the largest number of protected animals living within this nature preserve, and this is one of the best areas to see these animals. While not endangered, one of the animals that you will love seeing is the Reese monkey, which is found in bold numbers throughout the forest area. In fact, it is not a surprise for tourists to wake up and open the curtains of their bungalow only to see what of these amazing animals perched on the deck. There are also some very unusual forms of birds, insects, and plants that you will find on Koh Rong Island. While a tourist island, it must be understood that much of the island has been left completely unscathed. There are plans to add more tourist accommodations in the interior of the island, but those have been tabled for the most part, leaving the interior looking as rugged and natural as can be. This means that you can really enjoy seeing animals and plants that you will not find anywhere else on earth. To enjoy these areas more fully, there are walking paths that go throughout the entire area. This gives you the ability to get up close and personal with the natural beauty that is Koh Rong, while also feeling secure that you can easily find your way out. You can also join daily tours that walk through the area showing you the key features of the rainforest. These tours cost about $5 per person and take about half a day to complete. They run between the time that first ferry from the mainland arrives and just before the second one is about to head back to the mainland. This gives daily visitors the chance to enjoy the tour. If you want to feel like a true adventurer, then you will love the new High Point Adventure Park located in the jungle area of the island. This is a park that lets you experience Koh Rong Island 100-plus yards above the ground. 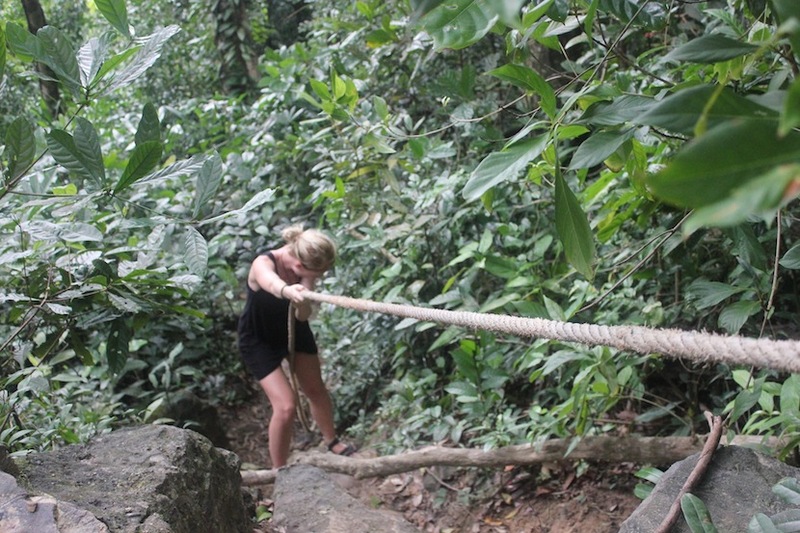 With zip lines that allow you to swing between the trees, rope bridges, sliding wooden platforms, and other means to navigate your way through the park you will find a great deal of fun things to do for you and the whole family. This park has it all, and allows you to feel like a true adventurer. The park begins with you being raised up to a platform where you swing from tree to tree on zip lines. There are rope bridges that enable you to cross over the rivers underneath, and a set of platforms that are hooked to ropes. You are slung across the rope on the platform to the other side where you continue your adventure. Needless to say, if you are a mom or dad with small children, after even 10 minutes in this park you children will be nominating you as parent of the year. For those staying on the island, there are bungalows that are located on either side of the island. There are several different places where you can stay on the island and all depend upon what you are looking for exactly. Each of these bungalows comes with a balcony that overlooks the gulf, a private bathroom, queen or twin sized beds, and internet access. The power on the island is only on from 5 am to 11 pm at night, which may seem inconvenient, but the lack of lights makes the night sky even more amazing as nothing is obstructing the view of the stars. Plus, it helps to make the sparkling of the plankton even more spectacular. Situated along the shores of Koh Rong Island, Palm Beach Bungalow Resort offers quiet and comfortable accommodation with views of the sea. Free wired internet access is available in the public areas. Palm Beach Bungalow Resort is only accessible by Palm Beach Ferry boat from Sihanoukville boat station to Koh Rong Island. Boat tickets can be purchased at Palm Beach Bungalow’s ticketing office. Coconut Blvd Resort offers pet-friendly accommodation in Koh Rong Island. The resort has a barbecue and views of the sea, and guests can enjoy a drink at the bar. Certain rooms include a seating area for your convenience. Enjoy a cup of coffee while looking out at the pool or garden. Rooms are equipped with a private bathroom equipped with a bath and bath or shower. Free private parking is available at the resort. Just steps away from the beautiful beach, Ashia is located in Koh Rong Island. 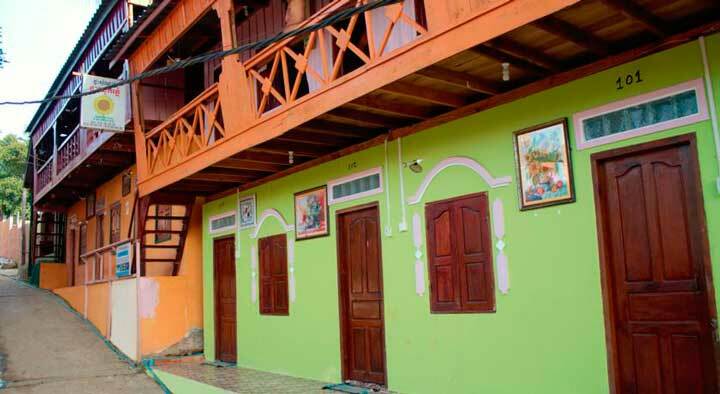 It features affordable accommodation and houses an a la carte restaurant. Rooms here are simply furnished, clean and comfortable. Each room is fitted with a clothes rack and clean linen sheets. There is also an en suite bathroom with shower facilities and bath towels. Some rooms offer sea views. The friendly staff at Ashia can arrange various activities including snorkeling and hiking. Situated in Koh Rong Island, Green Ocean Guesthouse offers peaceful and simple accommodation with free WiFi access throughout the property. It houses a restaurant and provides daily housekeeping service. Fan-cooled rooms come with tiled flooring, a clothes rack, in-room safe and mosquito net. Rooms include a private bathroom with shower facility, towels and free toiletries. 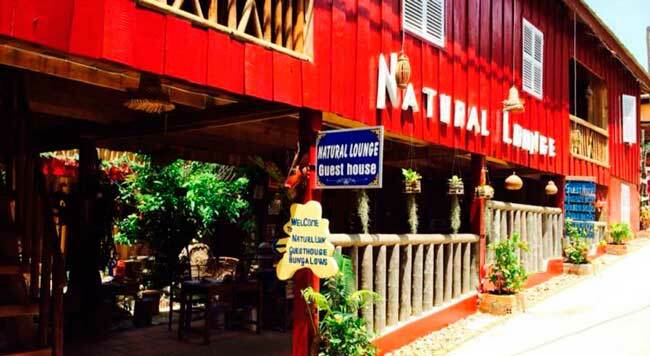 Natural Lounge Guest House is situated in Koh Rong Island, 29 km from Sihanoukville and 10 km from Song Saa Private Island. Certain units include a seating area for your convenience. All rooms are equipped with a shared bathroom. An array of activities are offered in the area, such as snorkeling, fishing and canoeing. Nature Beach sits on a private beach front overlooking clear waters on the coastline of Koh Rong Island. It offers an in-house beach bar-restaurant. Free WiFi is available in all areas. Nature Beach is 7 km away from Koh Touch beach and 26 km from Sihanoukville. Song Saa Private Island is 9 km away. The property offers complimentary boat transfers from Koh Touch Pier to Nature Beach. Rustic rooms boasting a balcony with sea views are featured at High Land Beach Bungalow. 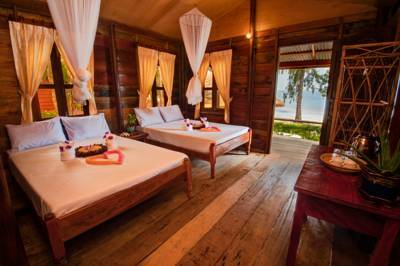 Located on Koh Rong Island, the guest house has a24-hour front desk and is just 200 metres from the island’s pier. High Land Beach Bungalow is accessible via a boat transfer from Sihanouk Boat Station in Sihanoukville to Koh Rong Island Pier. 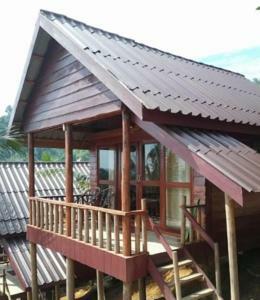 The property is 100 metres from the beach and approximately 41 km from Sihanoukville International Airport. 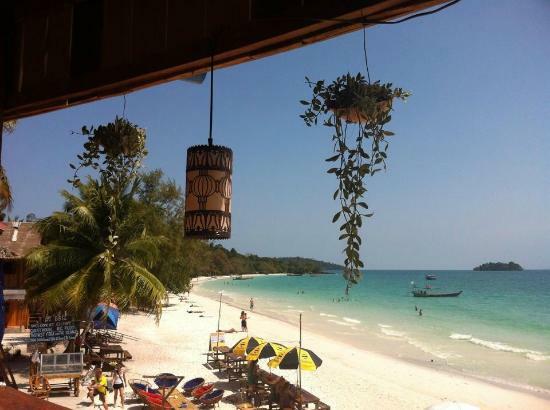 White Rose Guesthouse is located on the beachfront on Koh Rong Island. It houses a restaurant and offers complimentary WiFi access. Victory and Independence beaches are within 25 km away. Each room is fan-cooled. Shared amenities include a flat-screen TV, a personal safe and balcony offering sea views. Bathroom facilities are shared. The property is only 20 metres from the village’s ferry pier. It is 28 km from Samudera Supermarket and 37 km from Kbal Chhay Waterfalls. Sihanoukville International Airport is 41 km away. 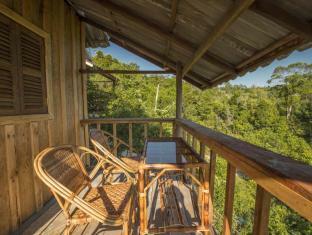 Happy Elephant offers pet-friendly accommodation in Koh Rong Island. Certain rooms have a seating area for your convenience. Some units feature views of the sea or mountains. Guests can enjoy various activities in the surroundings, including snorkeling, diving and fishing. Sihanoukville is 29 km from Happy Elephant, while Song Saa Private Island is 10 km away. Each year millions of people from around the world travel to places like Rome, Beijing, Sydney, New York City, Paris, and Cairo. They are looking for a vacation spot where they can enjoy history as well as see all the amazing sites that have existed for thousands of years. They are truly amazing places to visit to say that least. There are others who simply want to enjoy the beauty of the planet while also getting to spend time out on the beach taking in the sun and swimming in the beautiful blue waters. For these people their common destination places are such spots as the Bahamas, Hawaii, Australia, and South Africa, among others. They want to find a tropical paradise where they can bask in the sun and have a vacation that allows them to relax and create memories that will last a lifetime. For those looking for that tropical destination where they can really experience the beauty and majesty of the earth, there is a place you will surely find as exciting and enjoyable as any place on earth. The best part about it is that costs are much less expensive and you will not face any of the common problems you find in most tourist destinations. That amazing place is Koh Rong Island in Cambodia. The truth is that Cambodia has had a troubling past. However, that is true of many countries that you would consider going to. No nation is pure and stainless, yet many have turned their fates around and have become integral parts of the world. This is the pathway that Cambodia has taken as well. For nearly two decades Cambodia has been a thriving democracy, and has become one of the most amazing places on earth to live and visit. While some areas are still trying to rebound from the generations of oppression and turmoil, the vast majority of the country is an amazing land to visit where you can find all of the conveniences that we have come to expect in the twenty-first century. The nation is a blossoming land of industry and agriculture, which is seeing it watch its economic growth grow rapidly. In fact, Cambodia is one of the rapidly growing nations economically in all of Asia, and with its current growth it could challenge nations like Taiwan and South Korea as a top three country in the region. It truly is remarkable how the nation is climbed out of the dark times to become such a land of great opportunity. Cambodia is doing so much to change the perception left from its past, as more businesses are finding the country the ideal location to set up shop. A beauty landscape, intelligent and hard-working workforce, and low costs have made it ideal for companies to being their operations to Cambodia. This is true of tourism as well. Cambodia is becoming a blossoming tourist nation as well, for many reasons. There is not only a lot of history to enjoy and see, plus beautiful landscapes and jungle areas, but it has some of the purist and most unscathed beaches a person will find. Many of the locations you would go to will have had visitors coming there for centuries. This means that they have brought along their pollution and litter with them, tarnishing the beauty of their landmarks. Consider Rome as an example. One of the most spectacular places to visit on earth, but also a city that is overcrowded, with tiny roads in many areas, and a large pollution problem. All the troubles the city has can quickly remove the enjoyment that you may have there because you find that you cannot truly enjoy yourself. There are also many beach resort areas you could go where finding a spot to lay your towel down can be a real challenge. There are so many people there, especially during peak times, that it makes it impossible for you to enjoy yourself. Your peaceful tropical vacation becomes a battle to find a little peace and quiet. This is not the case in Cambodia. While always having some of the most beautiful beach areas around, the reality of their past troubles have kept many from visiting the nation. Within the last decade they have opened their country to tourists and it has been a giant success. The great part about visiting Cambodia is that many of the areas you will go to vacation only allow a certain number of people there. What this means is that you can easily find your own beach area to lay out and enjoy the day. In fact, there are many areas where you and your family would be the only people for hundreds of yards. While there are great activities that allow you to interact with other tourists as well as the indigenous people, you will also find that you can claim an area and be left undisturbed.